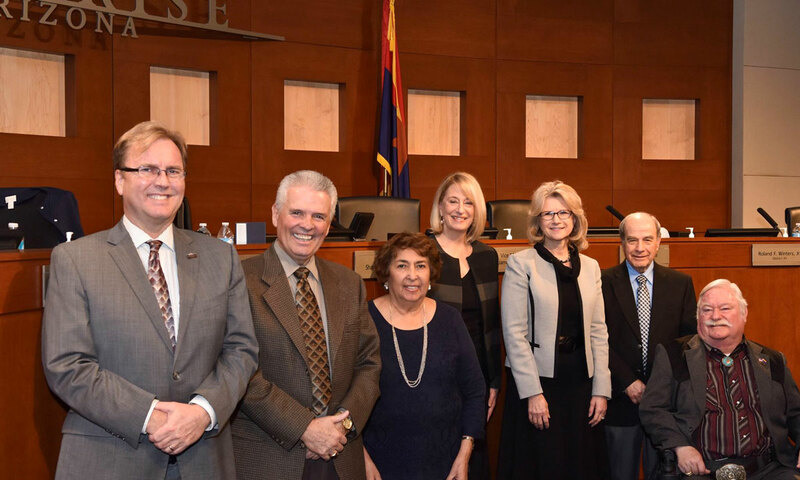 The Surprise City Council recognized Dr. Gail Pletnick for her achievement as Arizona Superintendent of the Year at their Feb. 2 meeting. 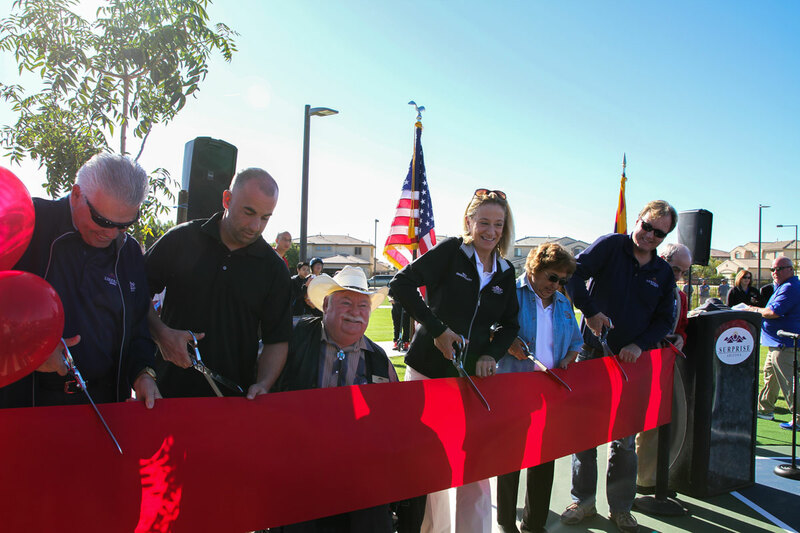 Ribbon cutting ceremony at Surprise Farms park on Saturday, November 14. Surprise City Council recognized Eric Bennett, a long-time Surprise resident who won a gold medal in the Men’s Open Recurve Division at the World Archery Para Championships. 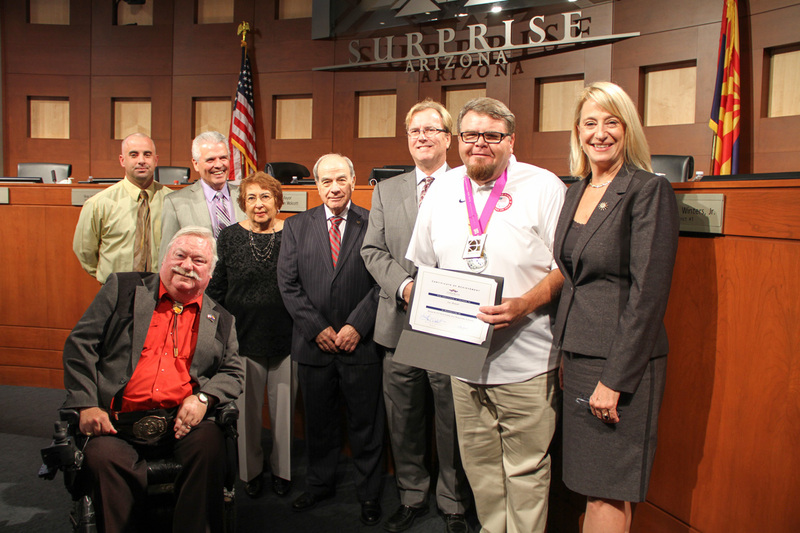 On Tuesday, October 20, the Surprise City Council recognized Eric Bennett, a long-time Surprise resident and teacher at Shadow Ridge High School, who won a gold medal in the Men’s Open Recurve Division at the World Archery Para Championships in Donaueschingen, Germany this past August. The victory guarantees Eric’s participation in the 2016 Para Olympics in Rio next summer. He also captured the silver medal at the Para Pan Games in Toronto. 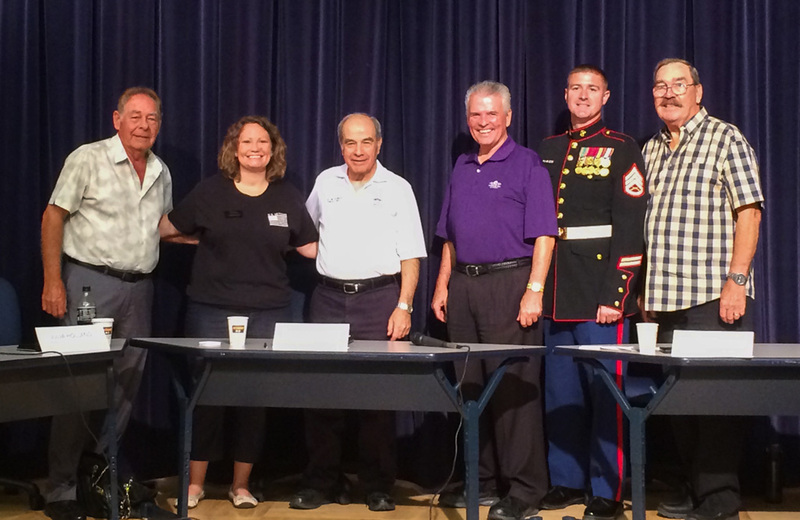 Vice Mayor Williams helped to coordinate a Veterans Panel at Willow Canyon High School in honor of Constitution Day on September 17. Councilmembers (and veterans) Skip Hall and Jim Biundo participated in the panel and shared with the students their experience in the service and how it related to the constitution. 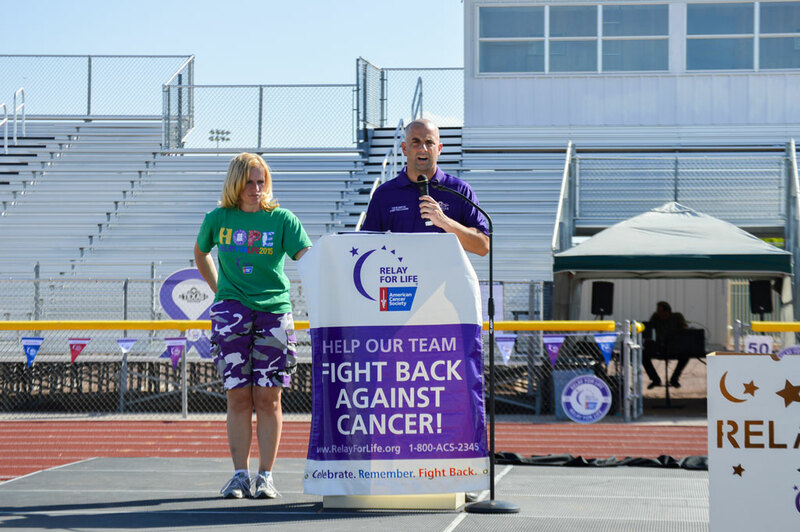 Vice Mayor Williams gave the opening remarks at the American Cancer Society’s Relay for Life event on May 2 at Valley Vista High School in Surprise. 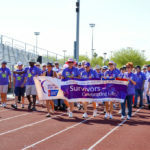 Relay For Life is a fundraising event to help end cancer. 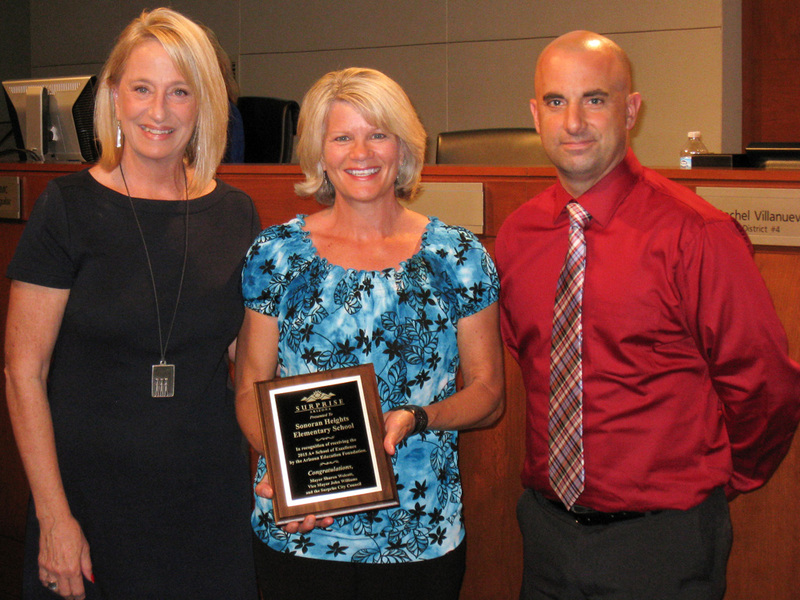 Mayor Sharon Wolcott and Vice Mayor John Williams recognize and congratulate Therese Tipton, Principal of Sonoran Heights Elementary School, for achieving the A+ School of Excellence designation, at the May 5 City Council meeting. 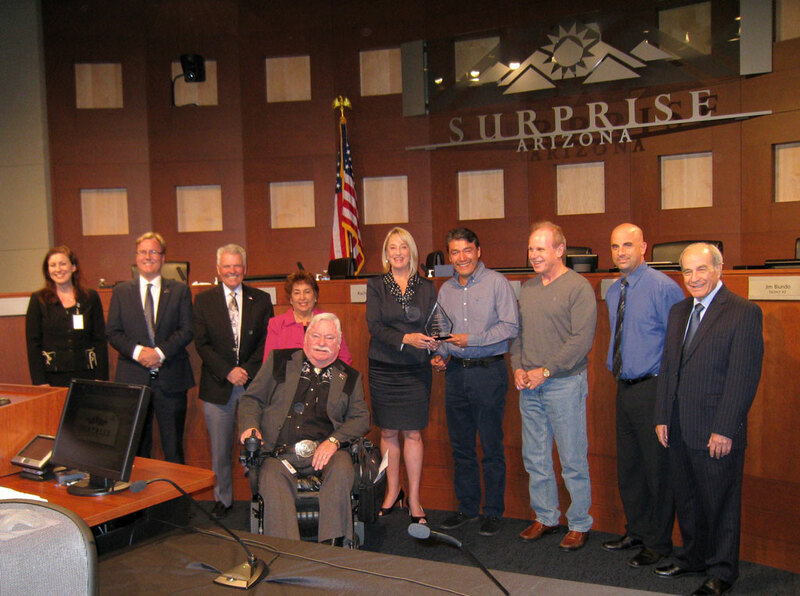 During the April 21 City Council Meeting, City Manager Bob Wingenroth and the Surprise City Council recognized Athena Wireless, the city’s first AZ Techcelerator client, for its success! 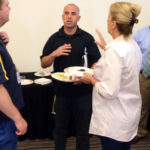 The company, which develops high capacity wireless connectivity systems, was acquired by Google Inc. this year. Meeting with Rep. Gallego in D.C. 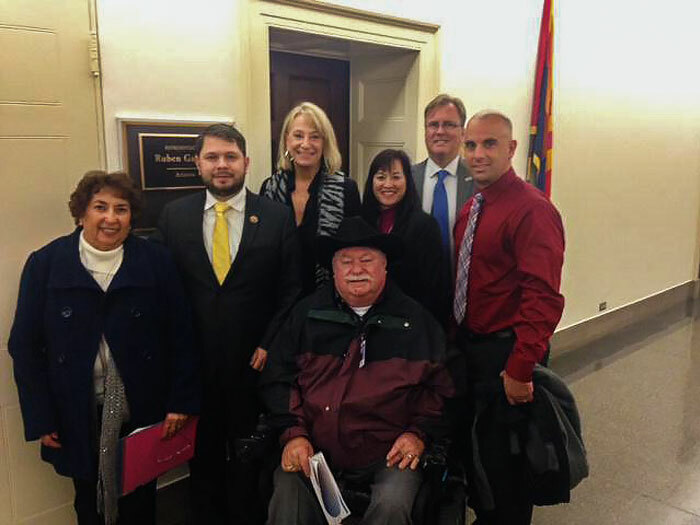 While in Washington D.C. for the National League of Cities’ Congressional City Conference, Vice Mayor Williams and other members of Council met with Arizona Congressman Ruben Gallego to discuss the city’s legislative agenda. 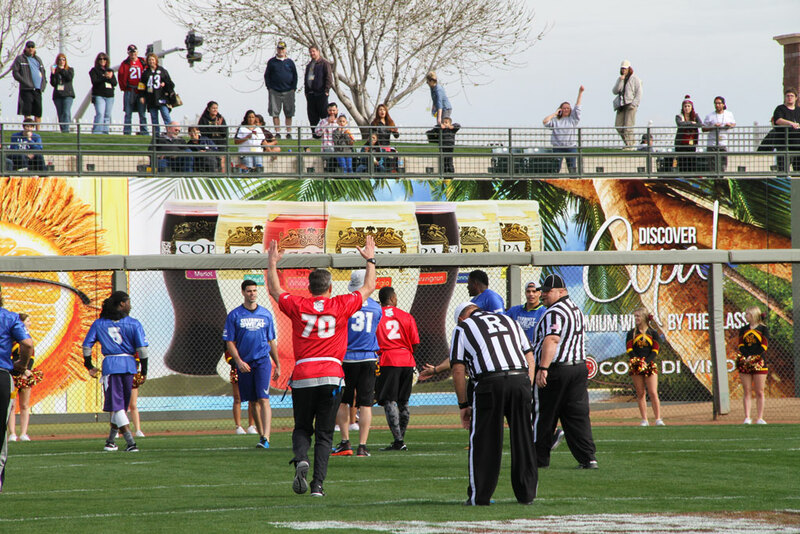 Super Bowl weekend brought excitement to Surprise with the Celebrity Flag Football Challenge taking over the field at Surprise Stadium. 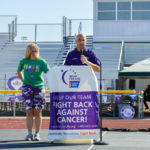 Vice Mayor Williams enjoyed the game and the opportunity to spread the word about Surprise! The game benefited the Wounded Warrior project. Vice Mayor Williams and Councilmembers Hall and Tande with Darnell Dockett of the Arizona Cardinals. 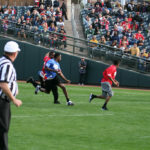 Celebrity Flag Football Challenge game. 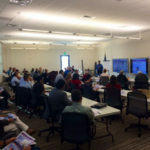 Mayor and City Council met with Planning and Zoning Commission members and city staff, Nov. 8, 2014, to talk about how to grow Surprise through the General Plan, so that the city prioritizes projects to attract new employers, maintain a safe community, and ensure a great quality of life for residents through efficient transportation options, the arts and recreation.